We finally made up our minds to renovate our main bathroom. Needing some advice we reached out to Lisa Destefano and her team for some help. 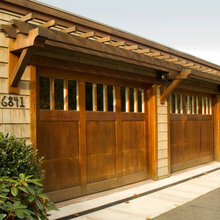 We found them to be professional, accommodating, and very knowledgeable. They helped us to design a plan and offered insight to what to expect with the project. Although our project wasn’t as big as others we were treated like it was the most important to Lisa and her team. In the end the bathroom can out great and we could be happier. 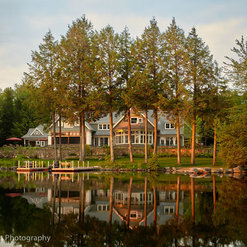 I've collaborated on projects with Lisa Destefano and her wonderful staff. They are true professionals and work with integrity. I particularly enjoy collaborating with this team....and other professionals within our trade community. What is unique about the team at Destefano is the detail and quality in the execution of their designs. This kind of precision comes with having high standards and working within a group of ancillary professionals with equally high standards. Cindy- Thank you for your kind review! We value you as a trusted resource and are looking forward to our next collaboration together!! As an interior designer I had the pleasure of collaborating with DeStefano Architects on an award winning beach front home. It was a joy to assist our client in adding all the finishing details to a home that had so clearly been carefully planned and crafted. Lisa's team provided thoughtful design solutions to a unique set of requirements and site. Their attention to scale, proportion, and balance is evident in their beautifully designed spaces. True professionals. I have collaborated on photographing several projects for DeStefano Architects and am always blown away by the thoughtful design and attention to detail in each and every project. 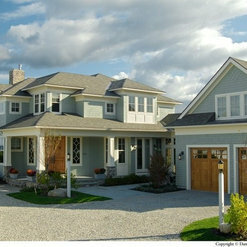 You can be assured of an outstanding result when working DeStefano Architects. Such a joy to work with! 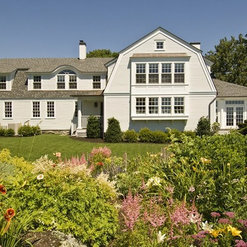 We're landscape architects and have the pleasure of working with DeStefano Architects on some of their varied projects. They are trusted professionals who listen and design structures that respond to and reflect their clients visions. Creating beautiful, livable spaces, this firm is one we highly recommend to our clients. What more can you say? This firm really gets it. 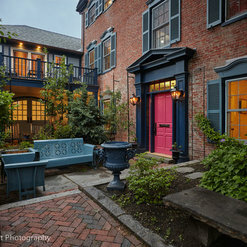 At DeStefano, designers develop an understanding of the clients’ vision and goals early in the process. Their detailed knowledge of the construction process, timing and costs, allows them to offer thoughtful guidance, leaving clients feeling well cared for as they navigate the new experience of building or renovating a home. 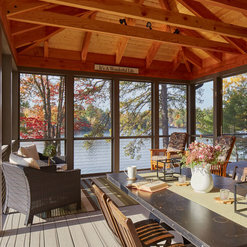 I have had the great honor and privilege of being included as a member of the DeStefano team for numerous years, being called upon to engineer and develop solutions related to their Marvin Window and Doors utilized in their wide ranging projects. I have found their designs to blend a nice balance of the unique and historic, classic and innovative, all the while integrating unparalleled professionalism throughout. Each member of the D|A team is extremely thorough and exacting, insuring that every detail is covered. A perfect example of this is when we were integrating our proprietary interior retractable screen system on a recent project and together we worked on not only the aesthetics but the structural ramifications and energy/performance impacts. Their approach is to not simply draw something that looks good but to have something that performs, is long lasting and improves the overall quality of life for those living in these homes. Leading by example, Lisa has created a dynamic team that is extremely innovative but also collaborative throughout the entire design and construction process. And where I work with architectural firms on a daily basis, this is not always the norm. 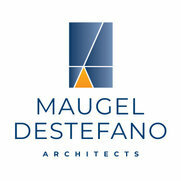 DeStefano Architects is quite simply head and shoulders above the rest. I find each D|A project to be a wonderful adventure, challenging my own talents and solutions, and one that when it is near completion, I sit back in shear awe and wonderment at what was created. Every detail, every element is a refreshing breath of fresh air. I personally long for the day that Lisa and her team can design a home for my family! I have worked with D/A for 20 years and have never had a bad experience. Their staff is courteous, professional and communicates well. We have developed several successful projects together. Providing both commercial and residential services, I would recommend D/A to any of our clients. 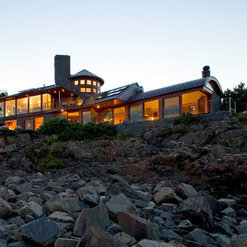 In 2003-2005 Destefano Architects helped us design and build a unique contemporary home on the water. Some of the qualities we appreciated and what makes DeStefano Architects stand out above all others are, their listening skills are outstanding and they have the ability to get to the heart of what the owners are trying to convey, their exceptional note taking during meetings made the following meeting and the entire project extremely efficient and their creativity for design and creativity for solving complications was excellent. We still love the home; we still consider the three architects on our project our friends, so yes we would absolutely use them again. Our family suffered a severe fire in our home that was formerly a church, so we turned to Lisa DeStefano and her team for help in the rebuilding process. After listening to our likes and dislikes of the pre-fire layout, she and her staff have developed a plan that truly excites us. We enjoyed their professionalism and attention to detail while working with us. They brought more natural light into the second floor and totally changed the plan of both floors. All the spaces will now be connected in a way that allows our family to flow and function so much better than before. We are all looking forward to our return to our D/A designed home. We cannot say enough about their dedication and warm style of interaction. What an extraordinary experience! From concept through design to finished plans the project was fluid and successful. The house is 8,500 sq ft loaded with unique and highly personalized details that came about through a truly collaborative effort between the DeStefano team, the builder, the interior designer and me. Thanks for a wonderful home! Commented: Ms. IlonaI agree! The homeowners had a beautiful vision for this space. Commented: Beautiful floor tile?It is a beautiful tile! 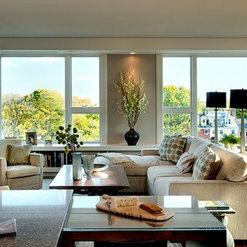 The homeowners purchased all of their flooring through Exquisite Surfaces xsurfaces.com in New York City. 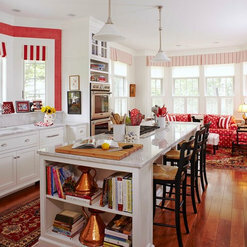 Commented: Love the ceiling fixture! Where can I find similar?This ceiling fixture was purchased years ago from an antique store. They believe it's mid 20th century. Commented: countertops are made of what?The counters are limestone. The contractor created a lip to make it appear 4&quot; thick.